After nine straight quarterly losses and dozen financial problems, RadioShack Corporation (NYSE:RSH) has got a rescue package from UBS AG (VTX:UBSN) and Standard General LP. The company is evaluating the terms of the package, which will help it avoid bankruptcy and avail new stream of cash. UBS AG (VTX:UBSN) will contribute as much as $325 million in the package with Standard General arranging $260 million. This financial package will help RadioShack Corporation (NYSE:RSH) refinance its $585 million line-of-credit (asset-based) offered by GE Capital, capital unit of General Electric Company (NYSE:GE). 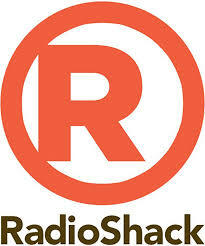 The new loan will help RadioShack get the necessary cash to build its inventory for the Holiday season. Further, it might allow the retailer to close more sores and lighten up on its losses in the upcoming months. RadioShack Corporation (NYSE:RSH) is likely to file Chapter 11 bankruptcy protection in case its credit situation doesn’t improve. Earlier, RadioShack Corporation (NYSE:RSH) announced that the retailer is running out of cash and its sales were down by 20% this year. The company is looking into some options to avail cash and restructure its debts. RadioShack Corporation (NYSE:RSH) has over 4,485 stores but only $30.5 million left in its cash reserves, as per its last report. The company is hopeful that working on its debts and improving customer experience will help it regain customers in future. UBS AG (VTX:UBSN) and Standard General LP are likely to push over the planned renovations of the store and revive the retailer with better customer experience. The 1921-founded store, which used to be the go to place for electronics, is finding it difficult even to keep its stores running.